Goto the CIPA Website: http://www.cipa.org.uk . Log in as a member (“Members” link on left-hand side). Once logged in, click “Journal Archive” on the right-hand side. Download the available issues into a directory, such as “CIPA Journals”. If the “CIPA Journals” folder is in your “My Documents” folder you should be able to search within the PDFs straight away by entering the search term in the Deskbar. If that does not work you may have to check your search options. Right click the magnifying glass in the toolbar and select “Windows Search Options”. 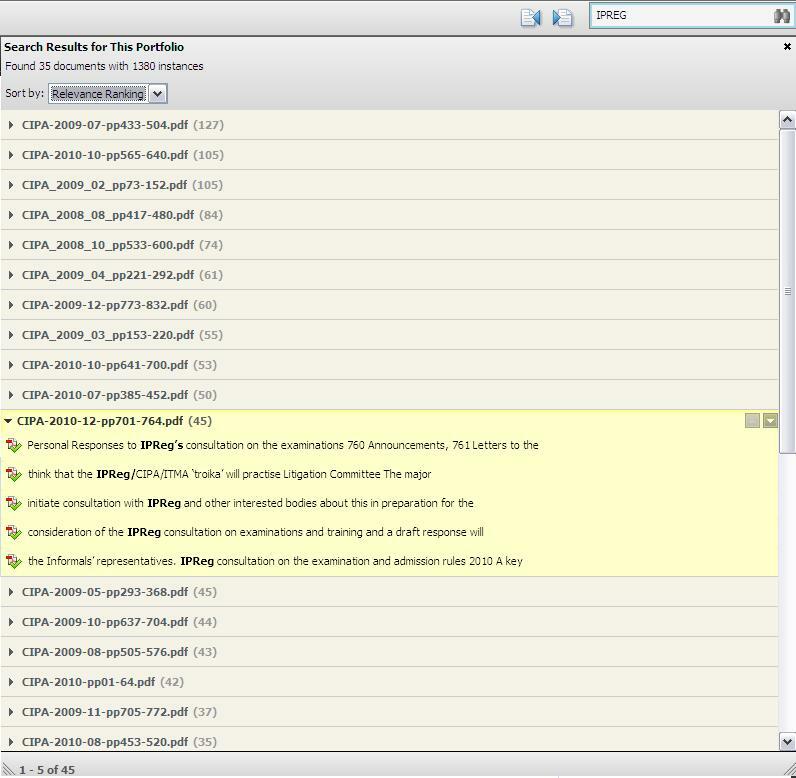 When the optiosn screen appears click modify to add your “CIPA Journals” folder to the list of indexed locations. Also click on “Advanced” and go to the “File Types” tab. Check “pdf” is an option and that the second radio box is active: “Index Properties and File Contents”. If the radio options are greyed out you will need to install the PDF iFilter, available as a free download from Acrobat (see here). One downside to the Windows Search is I have not yet been able to show the highlighted text within each PDF. Hence, for each of your search results you will need to search within the PDF in the usual way to find the specific paragraphs. There are other 3rd party tools that can be used to search PDFs: see this post for details.